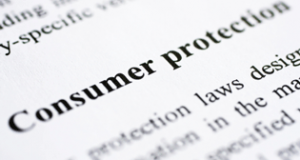 WASHINGTON, DC — Consumers Union, the policy and advocacy division of Consumer Reports, applauded the Senate Commerce Committee’s approval of legislation that aims to protect consumers from the use of “non-disparagement” clauses in standard-form contracts, under which the consumer purportedly agrees not to say anything critical about the business or its products and services. The Consumer Review Freedom Act, S. 2044, would render null and void, and unenforceable, any clause in a standard-form consumer contract that prohibits or restricts the ability of a consumer to speak or publish a review regarding the consumer’s experience with a business’s products, services, or conduct. The bill would also make including such a clause in a standard-form consumer contract subject to enforcement by the Federal Trade Commission as an unfair or deceptive act or practice, as well as subject to enforcement by a state’s attorney general. Similar bipartisan legislation, H.R. 2110, is pending in the House. Businesses have increasingly resorted to inserting non-disparagement clauses, also referred to as “consumer gag clauses,” into the lengthy boilerplate of their standard-form consumer purchase agreements as online communities of personal reviews have grown. Consumers are often unaware of these clauses at the time of purchase — but even if they were, there’s no choice but to sign if they want to purchase the product or service. The business then exploits this clause to intimidate dissatisfied consumers against publishing a negative review by suing the consumer, or threatening to, or by damaging the consumer’s credit rating. These same tactics could also potentially be used against professional product and service testers and raters. Consumer Reports, for example, buys the products and services it tests and rates in the marketplace, anonymously. It is a hallmark of the credibility of its ratings that sellers do not know they are selling their product or service to Consumer Reports – that by outward appearances, an individual is buying for personal use. Consumer Reports is also a forum for the views of individual consumers. It surveys consumers regarding their experiences in various product and service sectors, and publishes the results. Sometimes it reports on an individual consumer’s experience. A consumer’s participation in these activities could also potentially be attacked as an alleged violation of a non-disparagement clause.